Having tried to increase my intake of resistant starch by adding cold potatoes to my lunchtime salad I noticed that I felt seriously depressed later in the afternoon, whilst my initial presumption was that this was caused by a drop in seratonin during the climb down from the carb intake I wondered if this could actually be a symptom of a nightshade intolerance. Interested to hear other opinions, especially from those undertaking the potato starch experiment. Could be blood sugar fluctuation from the starch. It will cause a high then a low. Try adding a protein to the salad e.g., a bit of chicken or a a sardine or a hard boiled egg which would slow the uptake. Also a little olive oil would slow things. Hi, I have experienced depression from taking inulin, which is another prebiotic found in lentils, onions, asparagus etc. My sleep was wonderful, but mood less so; very unemotional or irritable. I don’t know anything about nightshade intolerance; but I’m guessing that your depression is not caused by blood sugar fluctuations as presumably you have had carbs before and not noticed this feeling before! I thought I was the only one who had this problem! Not sure why though; I had been doing intermittent fasting, taking probiotics and improved diet for ten months before taking inulin powder, so can it really be just a matter of a shock to the system? Anyway, hope you feel better. How many potatoes did you actually eat? Hi, I started taking the inulin at night to improve sleep. It worked fantastically well, but when I woke up feeling somewhat subdued I thought little of it as I often have days when I feel low. However, the depression carried on , and it was the same type of depression, feeling at peace to the extent where I felt sad; completely emotionally numb, not interested in doing anything, not wanting to go out, a bit agoraphobic and feeling quite detached. My usual depression is very different, lots of anxiety etc. I tried taking it in the morning instead and this was even worse. I became very irritable and snappy, like something was being bottled up and now erupting. I stopped taking it, and two days later I was feeling much better. I tried taking it again a few weeks later and it produced the same effect. I have no idea why a prebiotic would produce this effect, but I have several conditions that may make my reaction different I suppose. I have been on several anti-depressants which worsened my mood in the same way i.e feeling emotionally numb and detached. I’d need to know more of your medical history to express a view (which I’m certainly not suggesting on a public site). All I can say is that the advice in Michael’s book is extremely good and should help mood not hinder. For example 75% (at least) of serotonin is found in the gut (some sources say more like 95%) and is generated by the micro biome. So you can see how a healthy biome makes for a healthy mind! Suggest discuss with your GP? I’m nightshade intolerant. I discovered this after eating Goji Berries in the mistaken belief they could somehow give me more energy! Nothing could have been further from the truth. My gut health just got worse and worse. Nightshades, especially potato, make me depressed. Although potato makes me tired immediately after eating it, the mood effect kicks in about 24 hours later and it feels like a black mood, sort of like those cartoon black clouds above your head! Now when it happens, I can actually laugh about it as it feels so ridiculous. I am convinced that the mood is not the same as a normal type of depression though. Hello all, I stopped eating bell peppers years ago as every time I ate them I had terrible tummy pain and would feel sick or actually be sick. I still get intermittent tummy pain which became much worse after living in Thailand in 2008. Recently a friend of mine mentioned that another friend of hers was going on a nightshade free diet. She wondered if I had a nightshade intolerance as she knows about the pepper situation and knows I often get an upset stomach. I’ve cut out nightshade as of today and would like some advice with recipes etc and when to try reintroducing nightshade back into my diet. Cutting out nightshades is part of the anti-inflammatory diet, prescribed for those with autoinflammatory diseases. The whole family contains a variety of glycoalkaloids which inhibiting cholinesterase. This can increase intestinal permeability, causing your immune cells to flow into your gut where they find alien bacteria, panic and cause an immune response and inflammation. I assume everyone here is already onboard with the idea that an inflamed gut can seriously effect your mental health. However some people are also particularly sensitive to cholinesterase Inhibitors, and can see a significant drop in dopamine and a spike in acetylcholine. This can lead to increased anxiety, loss of energy and a heightened stress response. Mike Mosleys diet is very well researched and looks to build you up to a hale and healthy gut. However as he says himself, different people are starting with guts in different conditions and the whole system is extraordinarily complicated! First off it’s probably worth testing if the nightshades were the real culprit. Cut out potatoes, and replace them with other forms of resistance starch such as oats or cooked, cooled and reheated (briefly) rice. Monitor if you are feeling better. If not look at what other changes you made at the same time as adding the potatoes, did you remove anything? Then add a different night shade (tomatoes, peppers) to this meal and measure the effect. This should give you a better indication of whether it’s nightshades or something else. Either way adding collagen should help improve the lining of your gut. If nightshades are generally a problem remove them and focus on finding other veg to replace them (still try and hit that 30 species a week! ), and you can sporadically try them again over time to see if they affect you less as your gut heals. If not, you may be sensitive to CIs. Amazon have a ton of collagen (it’s actually not too expensive as the serving sizes are so small) and its entirely tasteless and odorless. Or you can follow the broth recipe in the book and boil up some bones if you have the time. Hope this helps, please keep us updated! That’s useful info GutsyChickpea. I haven’t looked into Collagen supplements but I know that cutting out nightshades has helped a lot. I found that the variety of veg in my diet increased dramatically when I went nightshade free because I tried so many different things as alternatives. Really got me out of a dietary rut! I would advise anyone going nightshade free to look up Nomato Sauce recipes and to always have a good supply in the freezer. Hey, I agree with you this can affect your mental health and may result in an increase in anxiety. The dietary habits and nightshades can cause high mood swings, that are sometimes difficult to handle. You can try to improve your food habits or take the help of some experts like the voyance direct from http://www.martine-voyance.com/qui-suis-je who can help to attain peace of mind. There are many new recipes that you can try out with fresh food and fruits, it will help you a lot. 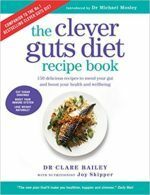 Since I’ve been reading the ‘Clever Guts Diet’ book,my depression has improved remarkably.I’m sticking to it now. I have read articles where,by cooling pasta,rice,potatoes after cooking,the structure in them changes to resistance starch and is obsorbed by a big intestine Instead of the small.I would dearly love advise from a professional if this is true or not.I am also reading thke ‘8 week blood sugar diet’ (fewer carbs). After reading articles on resistant starch,I was lead to believe when u eat cold potato,rice,etc,it gets absorbed in the large intestine and not the small.Thus no sugar hit from the carbs.But ofcause me no Nutritionist.